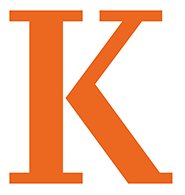 Kalamazoo College’s faculty of nationally and internationally respected scholars is dedicated to developing the strengths of every student, preparing them for lifelong learning, career readiness, intercultural understanding, social responsibility, and leadership. K is committed to building a diverse faculty that reflects our ever diversifying student body and the diversity of the world around us. At Kalamazoo College, student-faculty interaction goes beyond the classroom to include working together on research projects, college committees, and community projects. The connections students and faculty form last well beyond graduation.